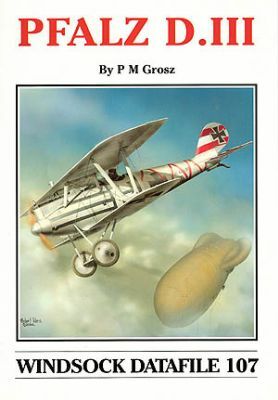 Peter M Grosz presents this brand new monograph on one of the war's most attractive and gracile fighter aeroplanes and a perennial favourite with generations of model builders. The German Pfalz D.III is described in great detail with six pages of sketches from the manufacturer's handbook and over 70 great wartime photos.Steve Simkin contributes detailed 1:48 and 1:72 scale plans and Ray Rimell provides chapter and verse on Pfalz colours and markings along with three colour profiles. Bob Pearson contributes another four colour side views and in a special exclusive we have two colour images of one of the Blue Max replicas restored in New Zealand with personal notes by owner Sir Peter Jackson!